2018 Japanese Speech Contest: Come Cheer Them On!! 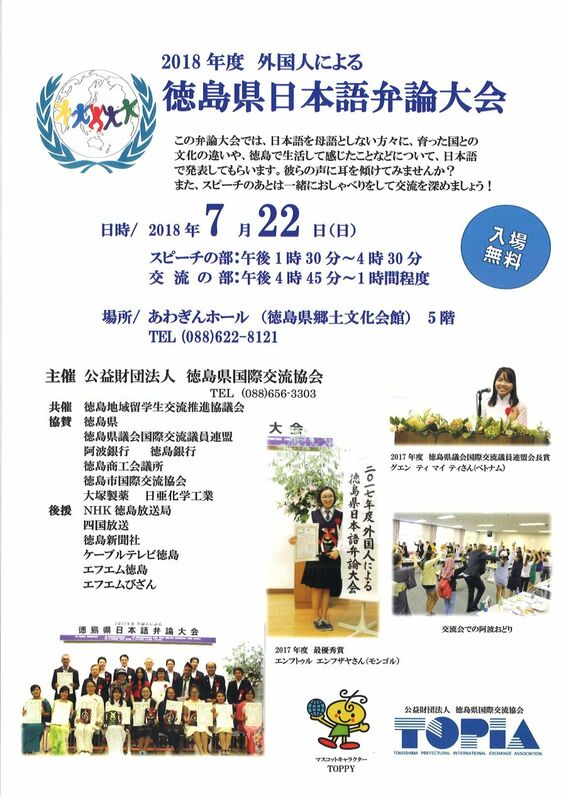 The 2018 Tokushima Prefecture Japanese Speech Contest will be held on Sunday, July 22nd from 1:30 to 4:30 p.m. You can come watch for free so come and cheer on the participants!! There will also be a social event after the Speech Contest from 4:45 p.m. on the 5th floor in Room 6. Feel free to drop by and chat with the speech contest participants.